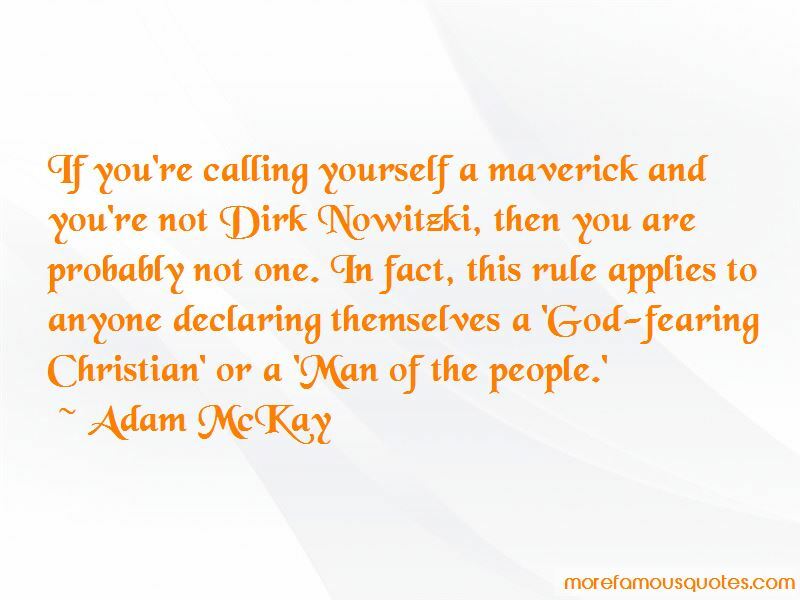 Enjoy the top 174 famous quotes, sayings and quotations by Adam McKay. I have no political ax to grind; I just find it absurd that huge billion-dollar corporations can take over elections. I just find it insane that, for instance, we give tax breaks to people like myself making millions of dollars, while there're no tax breaks for working people. That, to me, is not a political issue, that's a life issue. We lost our minds in the '80s and '90s; we really as a society just felt that everyone could only care about themselves. There was no responsibility to discuss what's going on in your town, your state, your nation. And it was a blast, it was really fun, but it doesn't work. Other than Green Day, we haven't had a lot of protest music over the past few decades. Michael Lewis has the amazing ability to take complex formulas and concepts and turn them into page-turners. There's nothing more American than movies. There's nothing more fun to me than new characters and a new world. Things I used to get in trouble for writing at 'SNL,' suddenly other people like it. Basically, we used to have a rule at 'Saturday Night Live' that you're not allowed to bring up 'The Simpsons' at the rewrite table, because 'The Simpsons' has done every joke there is. Every week there would be guys going, 'The Simpsons did that.' I go, 'C'mon.' And 'South Park,' too. For some reason, people with comedy, any time they can detect a pattern, it kind of freaks them out. 'Those guys are always together!' Yeah, they're a comedy team. Anything they can recognize as a pattern they think is a hole. 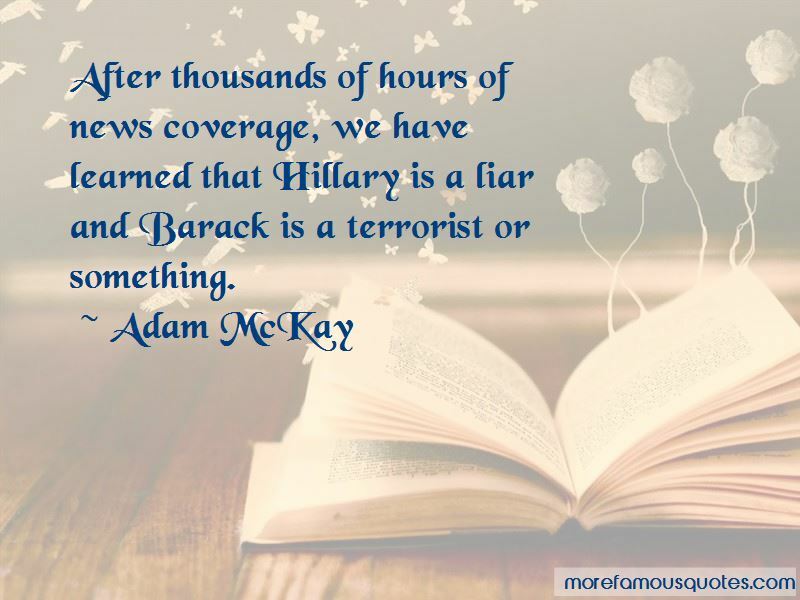 Want to see more pictures of Adam McKay quotes? 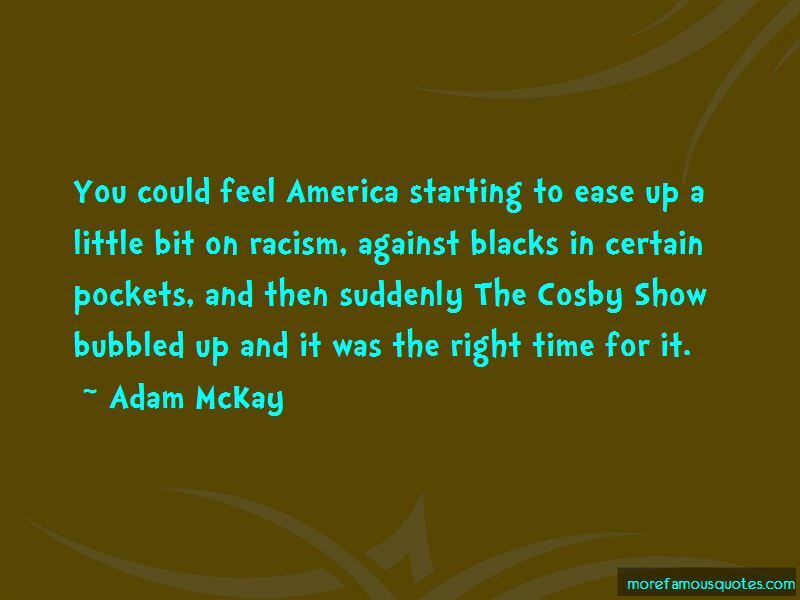 Click on image of Adam McKay quotes to view full size.